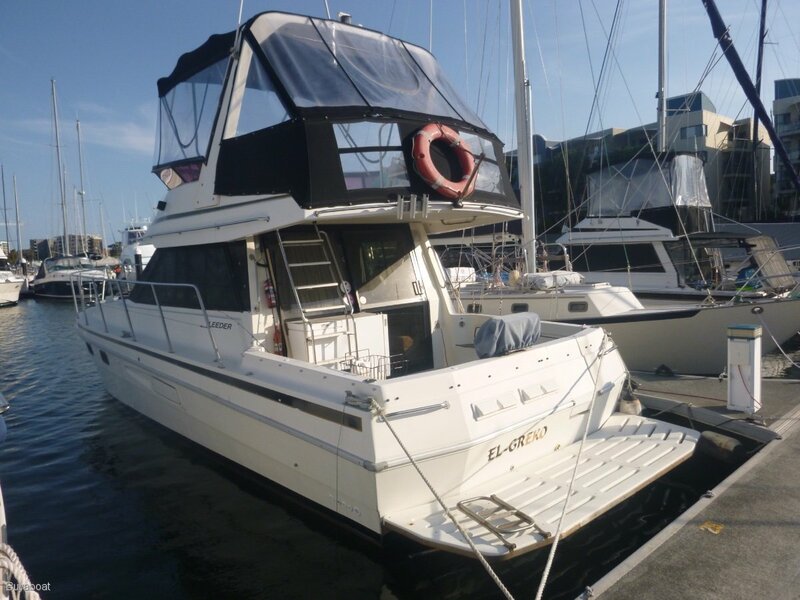 This very comfortable 38 leeder 'El Greko' is a holiday home on the water, Beautifully fitted out with a very large V berth island bed, separate double bunk cabin on the starboard side. Separate Toilet and modern shower. 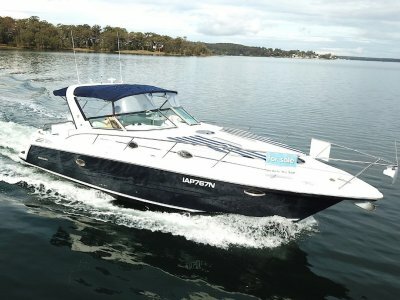 Large galley with micro wave, Electric stove, Utec Fridge and heaps of cupboard space. On deck she has electric winch, roomy cockpit with fridge and freezer. 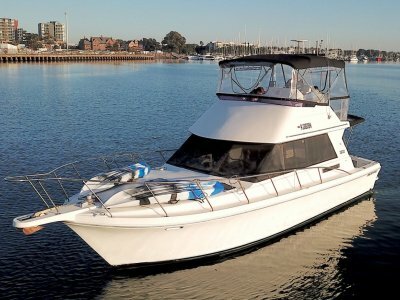 The flybridge is large and comfortable. 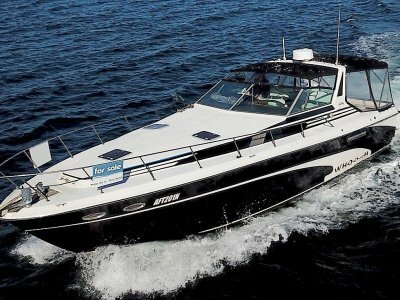 All up a great boat for a good price. Shaft drive, 4 blade props. 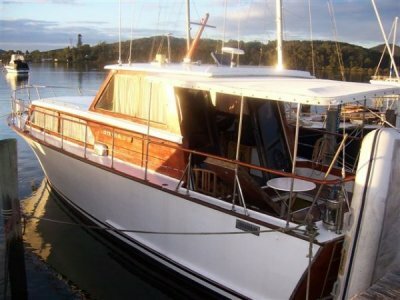 starboard cabin twin bunks offset. Modern, Rinnai electric Oven with 2 hot plates, Toshiba microwave, Utec Fridge, Stainless steel sink with hot and cold water, and modern bench tops. UTEC 80 L up right in galley. Outside in cockpit 90 L freezer and fridge. Maxwell electric anchor winch, plough anchor 80 m chain. 10 Life jackets, EPIRB, V sheet, life ring, Fire Extinguisher, 1st aid Kit, torch, Flares. 12 v lighting, bank of 4 batteries 12v and bank of 4 24 V batteries. Battery chargers. Shore power.